Find information on the search for work on Outback Stations and Farms around Australia; most Outback Stations are Sheep or Cattle Stations. The Wheat and Barley Farms are closer to the towns and cities. Outback Stations and Farm work can go towards your 2nd-year visa whether it's paid or voluntary. 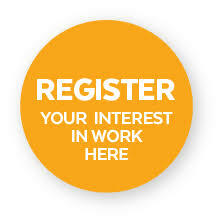 Don`t forget to look on Workstays Jobs board these jobs do come up all the time but be quick. Types of work you may be able to apply for on an Outback Station to get your 2nd-year visa is quite varied for instance. Maintenance work on the farm. As you can see there are all types of work to be done on a working Outback Station; there are also Outback Stations that are set up for the tourism market also, so the hospitality sector is quite good and worth checking out, a lot of these jobs are done through recruitment agencies also. If you just want to go it alone at getting a job on an Outback Cattle of Sheep Station, then try our list of Outback Farms. We have put together a list of Outback Stations and farms around each State of Australia they will help point you in the right direction and hopefully save you some money all you have to do is the legwork. Australian Agricultural Company, AACO, QLD and NT. Consolidated Pastoral Company, CPC, NSW, QLD, NT and WA. Heytesbury Beef, NT, and WA. Jumbuck Pastoral, SA, NSW and WA. North Australian Pastoral Company, QLD and NT. Paraway Pastoral, NSW, QLD and NT. S.Kidman and Co, SA, QLD, NT and WA. RM Williams, QLD and NT. Check our jobs board in each State of Australia.